Did you know that when a tyre has exhausted its intended service life, that’s not necessarily the end of it? 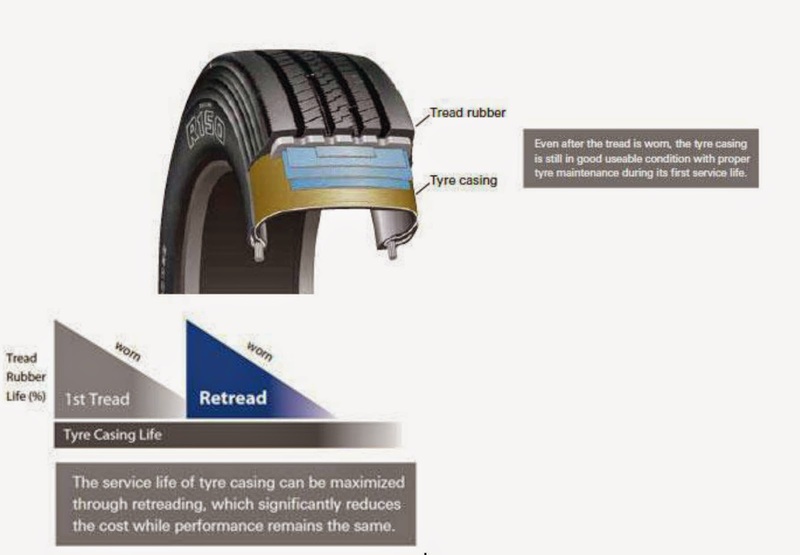 The worn tread surface can actually be removed and replaced with a fresh tread, extending the tyre’s usable life. Retread tyres are widely used by commercial vehicles, yet the benefits of retreading tyres (the high-quality ones only, of course) are still unknown to many fleet operators. More often than not, when the main treads have worn out, the tyre casings are still in good condition. Rather than replacing the tyres completely, retreading tyre casings will stretch the dollar and reduce operating costs, without compromising on performance or safety. 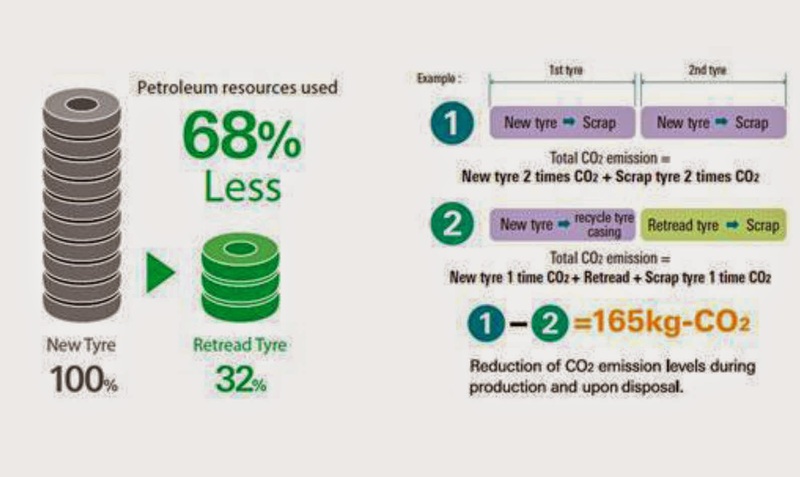 Compared to producing new tyres, retreading requires only one third of the petroleum and less than half of the rubber. Besides using less material, it produces less CO2 and industrial waste than usually generated in the production process of tyres. Of course if you go to a professional retreading shop, they will take the necessary steps to inspect the used tyre to ensure that it is suitable for retreading and provide regular aftersales safety inspection and maintenance. Bridgestone Tyre Sales Malaysia recently launched its Bandag franchisee retread shop in Lukut to cater to commercial clients by providing total tyre solutions and to raise awareness of the benefits of retread tyres. The facility includes an advanced shearography machine that uses lasers (yes, it’s very high tech!) to measure surface anomalies on tyre casings in a vacuum environment, ensuring only viable casings are retreaded. For the full press release from Bridgestone, click here. Interlagos Sold, McLaren Mugged at Gunpoint. 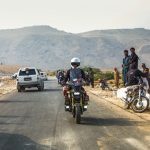 The End for Brazilian F1?